"Land of the Bull Thistle"
Chenango County is located in the south central region upstate New York; it is considered part of the Southern Tier. To the north is Madison County, to the east Otsego and Delaware counties, to the south Broome County, and to the west lies Cortland County. The Chenango River jaggedly divides the county from north to south and lends the county its name. The county is a maze of rolling wood-covered hills with meadows, fields and pasture land aplenty. It is one of the largest dairy producing counties in the United States. The county is rural with no large cities. Norwich, the county seat, is possibly the smallest incorporated city in New York State. In the early part of the 20th century the population of Norwich was climbing rapidly to the 10,000 person mark, so the village fathers applied for incorporation as a city. The charter was granted, but Norwich never reach the 10,000 person mark. Afton, Bainbridge, and Oxford are the largest villages. The majority of the county's population lives in the southern and eastern parts of the county. Chenango County saw most of its settlement in the early 1800's, although there was some settlers in the county as early as the mid-1780's. The majority of the settlers came from New England, especially Connecticut. This page is an attempt to provide genealogists researching families in Chenango County, New York, with additional information to repositories of local history and genealogical research. For more information please call or write the Chenango County Historian's Office (listed below). I've meant this page as an augment to the Chenango County GenWeb Project web page. Are you a member of the Chenango County Historical Society? Below are some links to the Society's web page. If you would like to join the CCHS, you can print a registration form from this page. The Chenango County Historical Society now has four sites to offer Chenango County history and genealogical researchers. The first site is the Historical Society page. Next, is the History Society Museum page. Thirdly, the Society offers the Historic Research page. And, finally, for those researching, or just interested, there is the Norwich Pharmacal Museum page. I would like to thank Pat Evans for providing the links to these pages. Pat is the author/creator of the CCHS web pages. Please visit Pat's Town of North North web page to thank her for her work. I've include a list of the towns in Chenango County along with a list of the populated places, including the incorporated City of Norwich and other villages and hamlets. Roger Swan has offered to look-ups for burial listing in the Town of Pharsalia until the information is posted on the Cemetery Page. If interested, contact Roger Swan. As of October 14, 2001, there are over two hundred cemeteries, burial grounds and family plots listed with location maps on the Chenango County Cemeteries Page. Many thanks to Roger Swan for contributing information about several cemeteries, plots and burial grounds in the towns of Lincklaen, Pharsalia, and Pitcher. I've uploaded all the information on cemeteries and lists of burials for the Town of Lincklaen. In addition to the lists on this site, I've added several new maps of larger cemeteries and linked to some of the interment lists on various other web sites. I've added a list of about 300 cememteries located in Chenango County, with notes on available burial listings. There is a cross reference of named cemeteries where known. Use the Menu to the left to access the page. Thanks to Ronnie Aungst for providing several new links. There are links to pictures, postcards and other memorabilia of Chenango County. I grew up less than four blocks from the Milk Station at Bordens, and the frequent trips passing it on the way to the baseball diamond sealed the image indelibly, so that picture brought back a lot of memories. There is brief history of the County Poorhouse in Preston; postcards of several scenes around Chenango Co. in the late 19th century; information on the National Historic sites in Chenango Co. and more. I revisited the Chenango County Historian's Office in Norwich, NY on July 6, 1998 and talked to the County Historian, Dale Storm, and her research assistant for genealogy, Dale Green about the information on this page. Ms. Storm provided some updated information about the genealogical research resources available for Chenango County from the C. Co. Historian's Office. Most of the information was taken from a 1995 pamphlet, provided below. Chenango County Surrogate Court, Chenango County Office Bldg., 5 Court St., Norwich, NY 13815. Hours 9-12 & 1-5, Mon.—Fri. Ph: 607-337-1827 or 607-337-1822. Note: The Research Fee is $10.00 per surname (only one surname per letter) plus other applicable fees. Requests should be limited to one family surname at a time. Address genealogicial requests to the attention of Mrs. Dale Green and include a check for the initial research fee. Checks should be made payable to: Mrs. Dale Storm -- County Historian. With the help of a few collaborators, I've been able to put together a list of over a hundred cemeteries located in Chenango County. There is a growing list of maps that show the location of cemeteries that have been mentioned recently on the Chenango County (Genealogy) Mailing List and cemeteries that I've visited. Roger Swan, Sandy Goodspeed and Donna Burlingame Givens have contributed locations and lists of interments at several of the cemeteries. I have added several new location maps since February, and will add more as time and resources allow. The oldest grave in Chenango may belong to Rev. Ebineazer Cornell. His grave in a family plot near Mount Upton dates from 1785. The North Side Cemetery in Plymouth was left to the state by an early settler, possibly by Dr. Ira Sheldon or a Frenchman known as Bement. There are permanent mortgages, amounting to between $300 - $600 on some of the village buildings which provide funds for operating and maintaing the cemetery. Anyone in New York State may be buried in the North Side Cemetery. Cemetery listings for other cemeteries and burying grounds in Chenango County can be found on the Chenango County GenWeb Cemetery page. Some links are provided from the Cemetery Locations Page. Most of the places in Chenango County have been named in one of four ways. The most common naming method for villages, towns, rivers and streams is to name them after prominent military men, first settlers, or innkeepers. A second common method is to transplant the names of the New England and English places of origin. Several places have retained their Native American names. And, finally, some names came from nature. About half of the county's town are named for military leaders or prominent citizens. The exact derivation of some names is in doubt, and county folklore cast some long shadows on the origins of some of the places around the county. Some of the information was published in a pamphlet "Geography of Chenango County," prepared for use in County public schools by S. H. Albro, Superintendent of Schools, and published in 1881 and 1882 by the Chenango Union Power Presses. Bainbridge was named for Commodore William Bainbridge. Bainbridge was called Jericho prior to 1814. Jericho was a section set aside for the Vermont Sufferers. Coventry was named after the English city of Coventry. German was named for General Obadiah German. Greene was named for General Nathaniel Greene of the Revolutionary War. Guilford was originally named Fayette, after the Revolutionary War hero LaFayette who had traveled through the area in the company of Gen. George Washington. Later, the name was changed to Guilford, after the town in Connecticut. Lincklaen was named to honor Colonel John Lincklaen, an agent for the Holland Land Company and founder of Cazenovia. McDonough was named for Commodore Thomas McDonough who gained fame in the War of 1812. New Berlin was probably named after the German city, Berlin, because of the large number of early settlers were German. Norwich was named after the town in Connecticut and the city in England. The Town of Pitcher was named in 1827 for Lieutenant Governor of New York, Nathaniel Pitcher. Plymouth was alternately known as Frenchtown, Frank Town or Francistown in honor of the village's early French settlers. Sherburne is thought to have been named after James Sherburne, one of the village's first settlers. Smithville Flats was named after Elisha Smith, first agent for the Hornby Estate which included the village. Strong Brook in the Town of Greene received its name from an early settler family that lived on its banks. Symrna probably got its name from the city in Asia Minor which is now known as Izmir, a large city and seaport in western Turkey. Canasawacta Creek was named from the Indian word "Ganaswadi," meaning "cabin between two others." 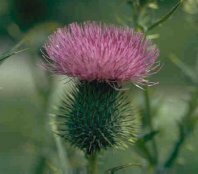 Chenango, some say, comes from an Iroquois word, "O chenang," meaning "region of the bull thistle." Others say Chenango means "beautiful river" or "pleasant stream." Genegantslet is an Indian name meaning "Three Deer-lick" River. Otselic is from the Indian word "Ocksilic" meaning "Plum Creek." Tioughnioga comes from the Indians words "Te-ah-hah-houge" meaning "meeting place of trails and water." Afton and Bainbridge have always been rivals. The people of Afton were said to have chosen the name so that their town would fall first on the list of County names, before Bainbridge. The name itself might have come from Burns' Flow Gently Sweet Afton, a reminder to the early settlers of the quiet Susquehanna River. Beaver Meadow is said to have been named because it was inhabited by a large number of beavers who built a dam across Beaver Brook. The dam resulted in a pond which covered about forty acres. Other stories of the hamlet of Beaver Meadow and other local folklore names can be read here in a series of letters to the editor published in the Syracuse Post-Standard, during November and December, 1926. Broomstick Swamp and Broomstick Creek were named by the early settlers in the Town of Bainbridge who used to go there to cut slim water beech or elm saplings to be used as brooms. Cork Island, Oxford, was the site of a duel fought by Mssrs. Sherwood and Starkweather in 1830. It is held that the seconds loaded the pistols with cork bullets. Plasterville was named for the plaster mill that was in the area prior to 1843. Polkville, a village southeast of Norwich, is said to have gotten its name because most of the villagers supported James Polk in the 1844 election. The settlement known as White Store (south of New Berlin) derives its name from the general store that was the first building painted white in the area. Webster's Dictionary defines a town in New York State as a "territorial and political unit usually containing under a single town government both rural areas and urban areas not having their own charter of incorporation." In some areas, especially western states, these would be called townships. However, Chenango County shows its origins, using the New England nomeclature: town. Norwich is incorporated as a city; the other populated areas are usually called villages or hamlets. Below is a list of the Towns of Chenango County, with the general relative location and some of the population centers within each Town. A list of current town historians can be found at the New York State County Historians website. The list below was current as of Spring 2000, but there is normally a high turnover rate for village, town and city historians. History Room @ Library: Otis B. Thompson Local History Room; Same Address; Same Phone; Hours: M-F 1-5; Sat 9-1; Sun 1-4 (winter only). Library: Afton Free Library,101 Main St.; RR#2, Box 1009, Afton, NY 13730-9504. Ph: 607-639-1212. Hours: Mon., Tues., Thurs., Fri., - 1:30-5:00; Sat. - 9-1; Hours subject to seasonal change. Library: Bainbridge Free Library; 13 No. Main St.; Bainbridge, NY 13733. Ph: 607-967-5305; Hours: M & Th 1-5 & 6:30-9, Tues. 9-12:30 & 1-5; Sat. 9-12. Library: Moore Memorial Library; 59 Genesee, Greene, NY 13778. Ph: 607-656-9349. Hours: M, W, Th 12-8; Tu 9-12; F 12-5; Sa 9-3. So. New Berlin Library & Yorker Museum; 8 Main St. PO Box 9, So. New Berlin, NY 13843. Phone: (607)859-2420. History Room at Library: Otis B. Thompson Local History Room; Same Address; Same Phone No. ; Hours: M-F 1-5; Sat 9-1; Sun 1-4 (winter only). Historical Society: Chenango County Historical Society & Museum; 45 Rexford St.; Norwich, NY 13815. Ph: 607-334-9227. Hours: Summer-W, Sat, Sun 1-4; Winter-W 1-4; Tours by appointment at other times. Please call. Library: Oxford Mem. Lib. Fort Hill Park, P.O. Box 552, Oxford, NY 13830-0552. Ph: 607-843-6146. Hours: Tu-Th 12-5 & 7-9. F 12-5; Sa 9-1. Historical Society: Oxford Historical Society & Museum, Depot St., PO Box 57, Oxford, NY 13830. Ph: 607-843-9926; Hours: Th 1-3, or by appointment. Town Historian: Rita Smith, 156 Pitcher Springs Rd., Pitcher, NY 13136 Ph: unknown. E-mail: rstith@cnyconnect.net. I own a 1902 Chenango Co. Directory that lists all of the residents alphabetically within each town and gives an address (by roads if in towns, by street name and number in some larger villages), occupation and property owned, plus livestock owned if a farmer (which many were). The directory has a great 11"X16" map that shows each town in different pastel shades, making it very easy to see town lines, plus each road numbered which corresponds to address listings in the directory. I have made a good color copy of the old map from which I can make excellent copies for cost of copy and mailing, and often do in response to lookups. I am (also) posted on the Chenango Co. GenWeb page and on RAOGK (Random Acts of Genealogical Kindness) page at Rootsweb. If any of your surnames might have been in Chenango Co. @1902, I have a 1902 Chenango Co. Directory that lists residents of all the townships and villages by names, address, occupation and property owned. Send Jack the NAMES and possible TOWNSHIPS OR VILLAGES and he'll look them up. Jack Eaton also sent me the following information. There is a great booklet about Pitcher Springs: Pages from the Past, Story of Pitcher Springs written by Mabel Brown Hagen in 1954 and copyrighted in 1996, published by the Chenango Union Printing, Inc. Norwich, New York. It has tons of names of former Pitcher Springs residents and great information about the development of the springs as a health resort. I knew Mabel Hagen, the author, when I was youngster there in Pitcher. It is fascinating reading. I recently researched the availability of the booklet for another Pitcher researcher: Rita has now 11 copies, @ $12.00 each still available, I believe. The town of Pitcher helped with the publishing costs for the booklet. You could contact Rita by e-mail (above), if interested. Library: Sherburne Public Library; 2 E. State St., Sherburne, NY 13460. Ph: 607-674-4242; Hours: M-W 1-9; Th-F 10-5; Sat 10-12. History Room @ Library: The Gertrude Howard Smith Local History Room; Same Address, Phone & Hours as Library. Historical Society: Smithville Historical Society & Museum, Smithville Flats, NY 13841. Ph: None; Hours: None. Library: Smyrna Public Library, E. Main St., PO Box 202; Smyrna, NY 13464-0202; PH: (607)627-6271; Hours: W & F1:30-5, Th 3-8, Sat. 10-12, Sun., M & Tu. - Closed. The Local History Room is in the basement of the Guernsey Memorial Library and is for the use of patrons conducting research in local history or genealogy. There are several resources available including family history folders and many genealogy and local history books unique to Chenango County. Patrons are permitted to make copies of a reasonable amount of material available in the local history room. During a recent trip to the LHR, I found one volume to be especially helpful. The cemetery records of many of the public cemeteries in Chenango County have been indexed and published. There are also microfische copies of the Chenango Union and the Norwich Sun from the mid-1800's available. Many of the early NY censuses have been copied, typed and indexed. There are also many unpublished records and pamphlets in the LHR that provide a wealth of information about the history of Chenango County and its people. Copying is available for a small fee per page. Thomas Payne's Web page, Decendents of Stephen Hopkins (Mayflower Passenger) - contains some good information on the history of Chenango County. Views of NY's Southern Tier, including Broome, Chenango, Cortland, Schuyler, Steuben Tioga and Tompkins counties; Norwich, including group portraits, etc. Book of biographies; this volume contains biographical sketches of leading citizens of Chenango County, N. Y. ... Buffalo, N. Y., 1898. Book of biographies #2: this volume contains biographical sketches of leading citizens of Chenango County, New York. Imprint Buffalo, N.Y. : Biographical Publishing Co., c1898. In the early nineteenth century a traveling medicine man buried two chests of treasures near the ruins of the Sulphur Springs Health Resort. The resort is located between the towns of North Pitcher and Pitcher. Where did the hamlet of Beaver Meadow get it's name from? For the answer and other Chenango County folklore, read these letters to the editor. Feel free to e-mail me with comments, suggestions or information about cemetery locations.